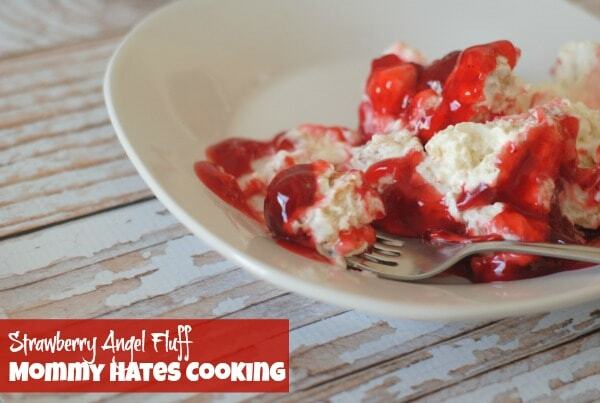 This Strawberry Angel Fluff is our go-to dessert year round! One of my most popular recipes on my blog is for Angel Fluff, which was actually a recipe my mom used to make frequently when we were kids. 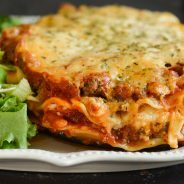 I originally posted this one back in 2014; however, I thought I would share it again this year since it is one of the most popular recipes on my website. It’s also one of the most popular in our home too! Recently, I have been craving some Angel Fluff only this time; I’m gluten free so I cannot eat the typical angel food cake that is store bought. 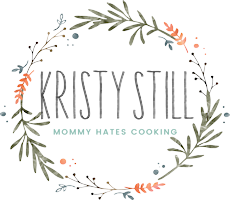 I finally found a recipe that I love for homemade gluten free angel food cake. As soon as I tasted the cake, it flooded me with lots of memories and ideas of future recipes with this angel food cake as the base. Since Valentine’s Day is coming up, I decided to mix up my angel fluff a bit and use Strawberry Pie Filling instead of Cherry although both are red and either would work, I just love strawberries! What is the best gluten free all purpose flour? 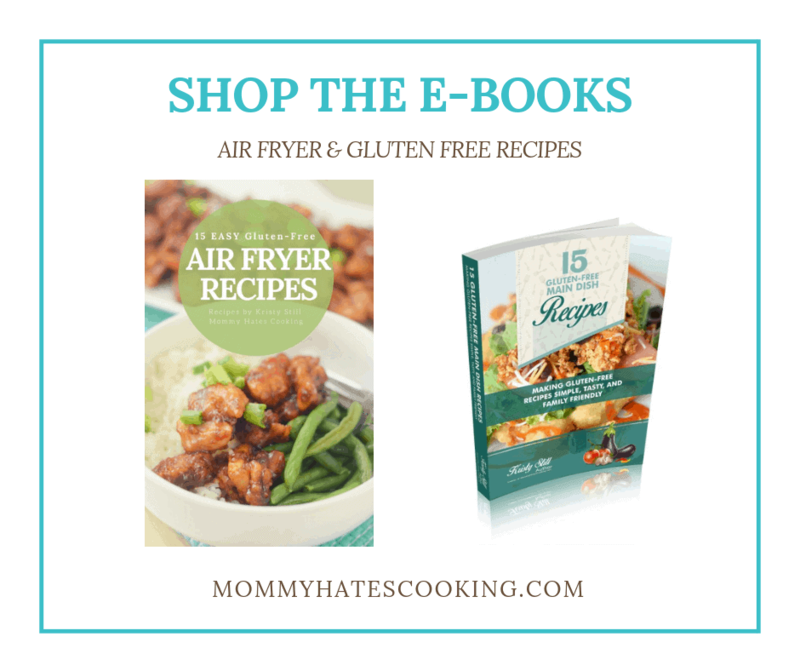 If you are using Gluten-Free Flour, I HIGHLY suggest, Better Batter! It works interchangeably with the regular stuff. I also adapted it a bit to make it a double layer of delicious goodness instead of just one this time. 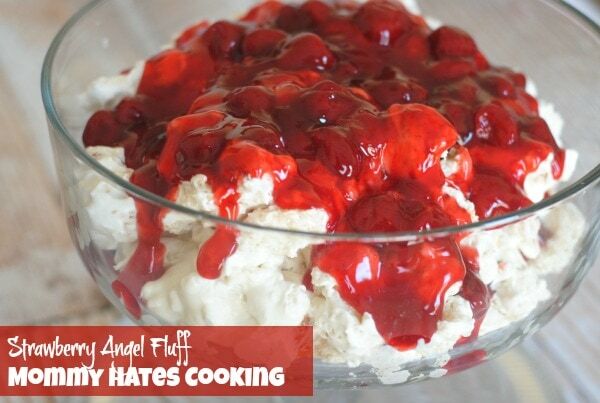 I quickly had family over at my house going home with plates of Strawberry Angel Fluff, and my husband was calling warning me that he better have some fluff left when he gets home or serious fluff is going to happen! This recipe is so easy and perfect to impress for Valentine’s Day or any day! Remember you can do any variation of this that you prefer with the filling of your choice too. I’ve made this with cherry, srawberry, peach, and blueberry. They are all equally delicious and perfect for any occasion. Can you make this Angel Fluff with other flavors? YES! 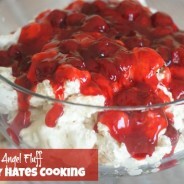 Canned Cherries make for a wonderful Cherry Angel Fluff! Be sure to check out these great products to serve this in! Angel Food Cake: You will need to make 2 of these. Note that you need to make 2 of the Angel Food Cakes. Add in the egg whites, cream of tartar, and vanilla extract, mixing well. Place the cake in a cold oven, then set it to 325* and bake for 1 hour or until golden brown. Repeat these steps for the second angel food cake. Place the powdered sugar and cream cheese in a mixing bowl. Mix it well until it is a smooth consistency, and then add in the cool whip (add pecans if you use them). 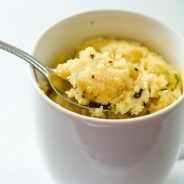 Tear the cakes into small pieces and place in a large mixing bowl then coat it with the cream cheese mixture, be sure that all of the cake is well coated. In a large trifle dish, place half the mixture on the bottom, then top it with a can of the strawberry pie filling. Place the remaining mixture on top of the filling and then complete it with the additional can of strawberry pie filling. Chill for 2 hours, then serve or serve immediately. I cant wait to try this! Just saved it! Couldn’t resist this! Looks delcious! what if i have no powdered sugar, and regular cream cheese and cool whip? thought someone may have tried it another way!!!!! What size cool whip? Sounds like a perfect dessert for Easter. 1 of the regular size tubs, I believe they are 8 oz. Oh wow, this looks so good! 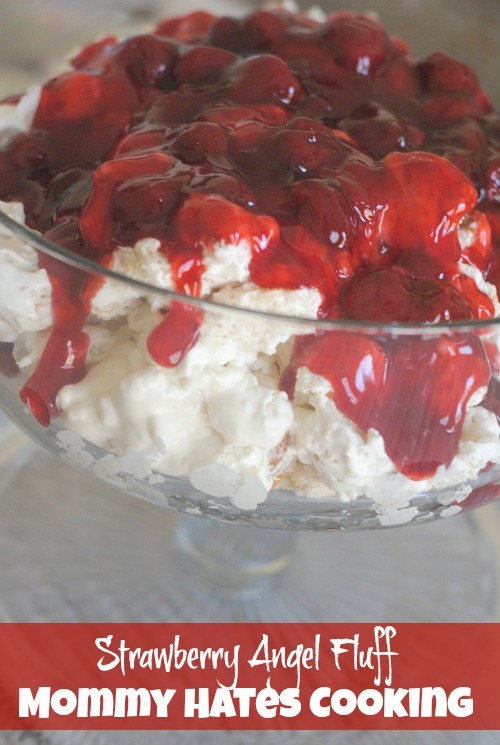 It looks a bit like Eton Mess but with added cake! Wow this looks so simple and sooo good! I think I’m going to try it with a strawberry/sugar mixture instead of cherry pie filling! Yum! My favorite thing is cherry pie filling, what a great idea! 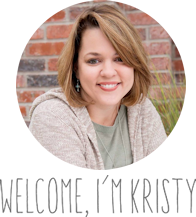 I can always find something fabulous on your site. Just saved it on Ziplist. This sounds wonderful!! How many does it serve? I would say at least 12 depending on your serving size. Don t care for cherries..will another flavor do? Yes, you can use just about any flavor. Strawberries are one of my favorites too! IS there a commerical GF angel food cake or a recipe for one anyone can share? 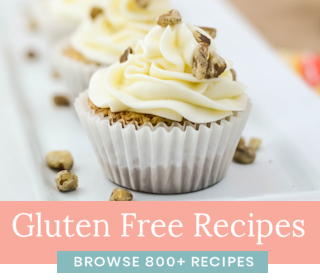 The good thing about this recipe, is you are tearing the cake apart, so it doesn’t have to look ‘perfect’, which can sometimes be the problem when baking gluten free. Oh wow, my mom used to make this too, during the fat-free craze in the nineties! I haven’t had it in years! Thanks for the reminder! Same here! It’s so good though, I still make it! I tired it and it was terrific my family loved it.